Teeth Cleaning, Teeth Polishing. Z Dental Group - Beverly Hills Dentist, Los Angeles Dentist. Teeth cleaning: (prophylaxis) by a dentist removes tartar (mineralized plaque) that may develop even with careful brushing and flossing, especially in areas that are difficult to reach in routine toothbrushing. 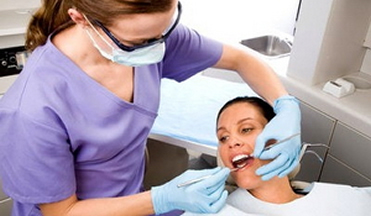 Professional cleaning includes tooth scaling and tooth polishing and debridement if too much tartar has accumulated. This involves the use of various instruments or devices to loosen and remove deposits from the teeth. Z Dental Group Dentists recommend having the teeth professionally cleaned at least once every year or two. More frequent cleaning and examination may be necessary during treatment of dental and other oral disorders. Routine examination of the teeth is recommended at least every year. This may include yearly, select dental X-rays. See also dental plaque identification procedure and removal. Between cleanings by a dentst, good oral hygiene helps to prevent cavities, tartar build-up, and gum disease. The objective of scaling and root planing, otherwise known as conventional periodontal therapy, non-surgical periodontal therapy, or dental prophylaxis is to remove or eliminate the etiologic agents which cause inflammation: dental plaque, its products and calculus, thus helping to establish a periodontium that is free of disease. Plaque is a mixture of bacteria, minerals and some food leftovers. It irritates the gums, or gingiva and causes inflammation over time: gingivitis. The bacteria make it stick, the minerals make it hard, and the longer plaque is left on the teeth, the harder it gets. After 24 hours, some plaque hardens into calculus, otherwise known as tartar. The difference between plaque and calculus is that calculus does not come off with the brush and floss anymore. This causes an ongoing state of inflammation of gingivitis. How build-up on the teeth leads to bone loss: Because the bone is alive, it has cells in it that build bone, and cells that break down bone. usually these work at the same speed, and keep each other in balance: it is called bone remodeling. The chemical by-products of ongoing inflammation stimulate the cells that break down bone, which now start working faster than the cells that build bone. The net result is that you lose bone, and the loss of bone and attachment tissues is called periodontal disease. Periodontal scaling procedures "include the removal of plaque, calculus and stain from the crown and root surfaces of teeth. Root planing is a specialized skill involving scaling of the root of the tooth, made up of cementum. Because cementum is softer than enamel, it is affected more by ongoing build-up and inflammatory byproducts. A smooth cementum provides less opportunity for bacteria to hang out and form calculus, so root planing is an important part of stopping periodontal disease where it is at, and preventing periodontal disease from getting worse, specially once deeper pockets have formed in the gums, which is really in the bone. 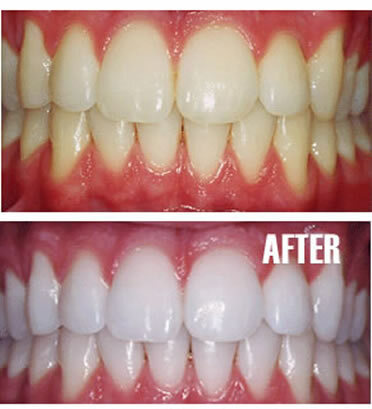 So, root planing is a specific treatment that removes the roughened and surface dentin that is impregnated with calculus, microorganisms and their toxins."